Our group is moving toward preparations for The Feast of Awakening in our area. We will be enacting the sevenfold blessing of stepping through Brid's Girdle (the Crois Bhrighde ). Healing and Protecting Mantles (Bhrighde Bhrat) will be hanging in the branches all around our Clan's Nemeton. Our clan family and guests will be told to take them home but leave them outside all night to fully impart the Blessings of Breo-Saighit...our much loved Fiery Arrow. Do bhrat fionn dom anacal? No arrow of fairy, nor dart of fay shall wound me. join our Tree selves in the Great Work of awakening the Earth! rung in the West or heard in the East. and I am older than Aona (Friday) and am as old as Luan (Monday). And I have been a breath in your heart. May your hearts open with hope and joy like the first peeking flowers of the coming Spring! Receiving guidance from the appearance, movement and sounds of birds and animals is one of the oldest forms of prophetic divination, and is found around the world in both ancient and indigenous cultures. In traditional societies humans are understood to be part of the natural world, not separate from or above it. The other living beings who inhabit our world – animals, birds, fish, and insects – are perceived as having wisdom, power and blessings which they can share with human beings, as long as they are honoured and respected. For those involved with the study or practice of Celtic religion, there are many options to choose from when learning how to understand and interpret the movements and wisdom of our partners in the living web of life. One method is to connect with other living beings and interpret their arrival according to your own personal spiritual or mythic symbolism. Certain animals may appear in dreams, meditations or journeys, and accordingly will have special and perhaps very personalized significance for you. For example, for one person the owl may be a wonder to see but not evoke a sense of connection. For another the owl who appears in dreams and then on the branch of a tree outside your window will constitute a very different experience. Keeping track of the content of dreams, meditations and other personal workings helps track the appearance and potential symbolism of animals, birds and other creatures. Another option is to learn about the traditional symbolism of animals in the area in which you live. Someone living in Maine may see different animals than someone in Texas, as might someone living in the south of Britain and the north of Scotland. People following Celtic spiritual traditions in Australia experience a very different natural world than the homelands of their Celtic ancestors, and may not see any of the animals described in Celtic mythology or folklore. Respectfully learning about indigenous traditions associated with birds and animals in your region is another way to connect with the wisdom of the natural world. For those people practicing Celtic spirituality in Ireland, Britain and other parts of Europe, the indigenous beliefs of their own ancestors are available to them, and are present in the landscape around them. The traditional symbolism associated with divination in Celtic traditions may also be practiced in other areas as well, where many of the same animals may be seen (parts of the north-east and north-west of the United States and Canada, for example). Similar animals may be found in other regions, and some associated symbolism can be connected with those creatures in the area you live in. There are many books on the market that aim to introduce the seeker to the basics of Druidism, but The Druid’s Primer by Luke Eastwood is perhaps the single best introduction book I have read. It's greatest strength is that it manages to present a great deal of modern Druidic material fairly and with clear references to the sources. The author has done a great deal of research into the historic material, which is also presented well and in an easily accessible manner. The book begins with a chapter that summarizes the historic material. This was very well done, with the material being covered thoroughly and concisely. This section touches on everything from the early Celtic period and what we have from secondary sources such as Pliny and Caesar up to the modern era revival. Although not gone into as deeply as in other books the single chapter effectively summarizes the highlights and is more than enough to get a beginner started or serve as a basic refresher for a more experienced person. The next chapter tackles possibly the most complex subject in modern Druidism, defining what a Druid is. The book does an excellent job of presenting the different current theories fairly, including the possible etymologies of the word "druid" itself. The different historical sources are once again drawn upon including Irish mythology and the later Barddas, which the text acknowledges as a well known forgery but also influential on the revivalist period. The author also discusses his own view of what a Druid does and who a Druid is, creating a fascinating and complex picture of the modern Druid. From here the next seven chapters discuss: Gods & Goddesses, Myth & Legend, Elemental Forces, Cosmology, Inspiration, Imramma, and Animism & Animal Worship. Each chapter is a blend of well-researched history and modern application that manages to offer a balanced view of modern Druidism without favoring any one particular path or focus. In most cases multiple views are offered for the reader to consider with sources given so that the reader may further pursue anything of interest. This is followed by a section, Cycles of the Sun, Moon and Earth, that looks at the historic and modern way that Druids would honor the passing of time and holy days. The author discusses a system of lunar rituals based on Alexei Kondratiev's book [amazon_link id="0806525029" target="_blank" ]The Apple Branch: A Path to Celtic Ritual[/amazon_link] that could be used by modern Druids seeking to connect to the moon. This is followed by a discussion of the solar year and it's holidays, including all of the eight holidays of the modern pagan wheel of the year. Next is a section on tools, which looks at the tools historically attributed to the Druids. It begins by discussing clothing, rather in depth, including the colors likely worn and the Irish texts referring to dress and color. Sickles, wands, staffs, the Druid egg, cauldron/chalice, magical branch, musical instruments, the crane bag, and sword are discussed. The four treasures of the Tuatha de Danann are also mentioned in a modern context as tools that Druids today may choose to use, although they have no historic basis in that context. Birds are effective eavesdroppers and stunning gossips. Squirrels play practical jokes and tell shaggy dog stories. The twain usually get along fine in a suburban backyard. The squirrels enjoy showing off knowing they have the attention of the birds, and the birds try to decode the squirrel jokes to pass on no matter how tattered in the retelling. My first ritual of the day is to sit next to the backyard pond under the black cherry tree slurping a lukewarm coffee-like substance. This is where I get my first news of the day. I don’t understand the squirrel jokes either, but I enjoy the fact that they think they’re funny and how they revel in the recounting. The birds let me know who is in the neighborhood and what they think of them. They also share their assessment of the current weather conditions – and more often, than not - their opinions of the squirrels. One morning was different; the yard was unusually quiet. I didn’t think too much of it, although it had my attention. Within a few minutes, a squirrel came screaming – literally and figuratively – across the tall weathered wooden fence that separates two suburban yards. Hot on his tail was an angry robin looking more like a fighter jet than a bird with wings swept back in attack mode. That was odd; they are usually good neighbors. Then it happened again; this time it was a different squirrel and a screaming bluejay. What was going on here? Oh. Eggs. By this time, my beloved had joined me, so I said, “Negotiations have broken down, and are irreparable.” He responded with his usual “uh-huh”, which means, “yes, Dear, I hear you speaking, but I’m not really listening.” I heard myself, though, and it got me to thinking. A pebble had been dropped in the pond of my mind causing concentric ripples. Isn’t that just like the One Percent that has the Ninety-nine Per centers so angry? The former apparently believe they are entitled to all of the eggs. Hang on a sec. Isn’t that like the House of Representatives and the Senate in Washington? Both the Democrats and Republicans don’t want to share any eggs, and squawk loudly each accusing the other side of treachery and trespass. Hold on here. Isn’t this like countries that invade each other for reasons of resources or ideology? Whoa. These were not new realizations, of course; however, I had not thought of it in terms of eggs in a nest nor nest eggs. As a Keltrian Druid, my values and worldview is encompassed in the Beliefs of Keltrian Druidism. Looking closely at theses thirteen statements, I found seven that applied to my line of morning musing. Not every belief applies to all situations, but in this case, when considering how neighbors near and far choose whether to get along or not for creative problem solving culminating in mutually beneficial results, certain tenets do come to my mind. I will explore one for each scenario. In the case of the One Per-centers, my simplified perception is that while the bail out money may have been repaid in most cases, the spirit of the rescue was that the Ninety-nine Per-centers would see some benefit from the government loans. Instead, displays of greed and focus on corporate profits were the results. Keltrian Belief #8 applies to this situation, which states: We believe that morality is a matter of personal conviction based upon self-respect and respect for others. To my thinking, greed is a character flaw, which demonstrates lack of self-respect. Likewise, refusing to do the right thing by easing the burden on the public’s cash flow is disrespectful of these individuals whose tax money saved the day. To me this is tantamount to egg stealing. Turning to Washington politics, Keltrian Belief #10 comes to mind. This Belief proclaims in part: We believe in the relative nature of all things, that nothing is absolute… My impression is that the “us against them” attitude, which appears to emphasize beating the other guys rather than acting in general public interest. This attitude of “my way or the highway” politics has cost us hard working moderates in the House and the Senate who find their hands tied and time wasted when absolutes thrust a stick into the wheel of constructive compromise. In this case, there are plenty of eggs to share, but special interests are unwilling. Then there’s the state of world affairs. For this, I’ll turn to Belief #9, which says: We believe that evil is not a matter of inheritance, but of intent. Why do we have wars? All too often, I feel we are fed propaganda with a spoon, and told the other side is evil and must be stopped. It’s the get them before they get us mentality. When the layers of onionskin are peeled back one by one, it becomes apparent - to me at least – that the real issues revolve around either coveting someone else’s eggs or fear of a race of people who have different customs and beliefs. An example comes to mind from a story that pops up from time to time on twenty-four hour news networks. Israel is concerned that Iran will unleash a nuclear attack directed at them. The best option is to attack first because the Iranians are evil. This may be sensationalized by the newsgroups that need to fill airtime, but lit stokes an opinion that is based in fear and not necessarily fact. Call me a cockeyed optimist, but I believe that most people in the world are good if not misguided from time to time. True evil is relatively rare. Good people make mistakes, which cause harm, but it is usually unintentional. On the other hand, is it intentional evil to mislead others into acting on misinformation? What does this mean to Keltrian Druids? As intimately involved in our church as I am, Keltrian philosophies and practices are never very far from my mind. I wonder sometimes if this extends to our other members. 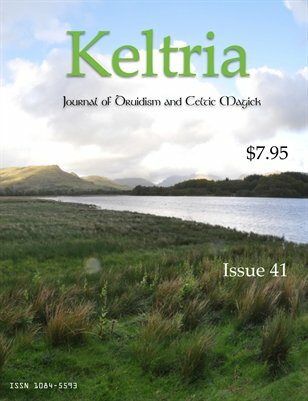 Within the last year, two members on different occasions commented on how applying the Keltrian discipline of thinking in Triads, which is a uniquely Keltrian teaching, and conscious application of the thirteen Keltrian beliefs has benefited them in all aspects of their daily lives. I freely admit this brought a grin to my face. Overall, I believe Druids to be inherently practical people, who apply abstract philosophical concepts to mundane situations. All of this being said, I don’t expect birds and squirrels to understand nor care about my musings. 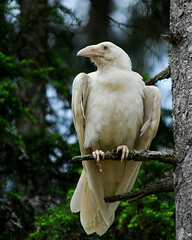 They are creatures of immediacy and have concerns regarding their own politics and survival issues. I thank and honor them for inspiring a fresh and simple perspective. Sometimes when situations seem too large to do anything about such as national and international issues, breaking them down to something as simple as egg stealing can possibly provide a path to solutions so each and every one of us can act using the thirteen Keltrian Beliefs as a guide. Nota Bene: If you are not familiar with the Keltrian discipline of thinking in Triads for problem solving, let me know and I will address it in another essay.